My wife and I were first introduced to Wendy Colonna and her music last summer at The Mangy Moose Saloon in Jackson Hole, WY. We were on vacation and fully prepared to enjoy any live music we may have heard that evening. Little did we know we would be entertained that evening by, soon to be, one of our favorite new artists. We were thoroughly captivated by this charismatic lady on the stage singing lovely, gentle, original songs. Wendy is from Lake Charles, LA and now based in Austin, TX. She has a handful of albums and accolades under her belt (she was named best singer songwriter in Austin by the Austin American-Statesman). Her latest album “Nectar” is my favorite of her albums and the songs we heard that first night last summer compose the bulk of the collection. Wendy’s versatility and diversity as a songwriter and singer shine on Nectar. Album opener, “Dirty Things” and third track “Shelter & Be Kind” are the kind of swamp blues that sound best being played at a Louisiana crawfish boil with a cold Abita beer in hand. Bonnie Raitt would be proud. Ukelele propelled, “The Water’s Fine” could be used in an “Aloha Hawaii!” advertising campaign, it so perfectly captures the island and beach vibe. “Sleeping”, with its relaxed reggae beat is begging for a mash up with Bob Marley’s “Three Little Birds”. “When Love Comes My Way” is one of my favorite tracks; a sultry number that would fit comfortably on a Fiona Apple or Diana Krall record. “I’ve Never Been” is the only track that would work easily on Ninebullets radio and fits in well with what I consider to be the standard Ninebullets.net wheelhouse. A driving, acoustic guitar, driven song with great melodic verses and a big chorus. I could imagine Chuck Ragan singing “I’ve Never Been”. Album closer, “Mother Forgive Us” is, arguably, my favorite song on “Nectar”. Electric piano, bass, and drums are the foundation of this moody, minimalist, ballad with tasteful flourishes of fiddle and guitar. In full disclosure, “Nectar” is a bit of an outlier when it comes to the music I usually listen to. There is more of a pop sensibility and a bit less grit than I’m used to with my daily musical dietary intake. Yet, undoubtedly, the songwriting is superb and Wendy’s voice is warm and welcoming. There is not a bad song on “Nectar”. Guys, give it a spin. If you don’t like it, let your lady listen to it. Chances are, she will love it. 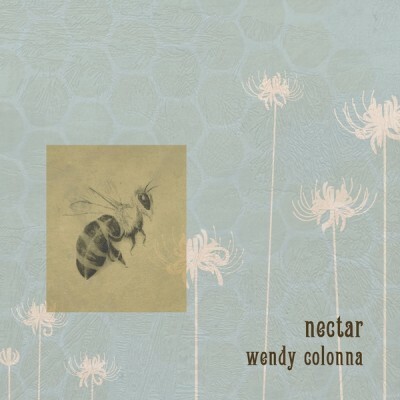 I just real your excellent review of Wendy Colonna’s “Nectar.” I also recommend her self-titled album of about 10 years ago. It is wonderful. Thank you for reading Bonny! I will give her self-titled album a spin. Thank you for brining Wendy Colonna to my attention. Your words inspired me to listen to all of her music. I found her website, same name, and it’s all there! I don’t buy much music but artist one I have! Thanks 9bullets. Thank you June! That’s wonderful. I hope you enjoy Wendy as much as my wife and I do.